Late last week, a friend of our San Francisco landlord/tenant law firm e-mailed us an article he’d seen on Curbed LA, the Los Angeles portion of a real estate and neighborhood news website. The article suggests that landlords in L.A. could fetch up to twice as much money on the short-term market (such as via Airbnb) than they can make via a traditional long-term rental. He asked us: “Could the same thing happen in San Francisco? 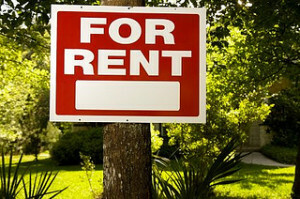 Should renters be worried?” We thought that the reality and the legality of short-term rentals in San Francisco might be on more than one renter’s mind (and therefore a great blog topic! ), especially given the well-publicized increase in rental prices in the Bay Area in recent years. For those unfamiliar with the company, Airbnb is a locally based company that touts itself as a community marketplace connecting people looking for a place to stay with people who have space to spare. The site covers more than 34,000 cities and allows people to rent a wide-range of spaces with many spaces offering nightly, weekly, and monthly rates. While it is certainly the most popular, Airbnb is just one company serving the growing demand for short-term rentals. On February 1, 2015, a new law took effect in San Francisco allowing short-term rentals in the city, a move many called a victory for Airbnb since rentals under 30 days in multi-unit buildings had previously been banned (although the consensus is the law was rarely enforced). The Planning Commission provides a Frequently Asked Questions page aimed at those wishing to rent out property short-term. Under the law, (1) permanent San Francisco residents may rent out their (2) primary residence for an (3) unlimited period while they are present and for (4) up to 90 days while the owner is not present, with fines taking effect thereafter. While the structure of the law seeks to limit the impact it will have on long-term rental availability, some renters believe the law does not go far enough. According to KQED, last week the group ShareBetterSF presented the city with a petition to put amendments to the law on the ballot. ShareBetterSF is a coalition that purports to be fighting the conversion of residential rental units into virtual hotel rooms. A spokesperson for the group said the revisions are not intended to target individuals renting out a room in their home for needed income, but rather people who rent out multiple full units that previously housed longer-term tenants. The petition seeks to improve enforcement of the law and to change the limit from 90 to 75 rental nights when the owner is not in residence. It is just one of the attempts to amend the law mere months after it went into effect. Our research suggests a wide-range of opinions on whether or not short-term rentals are further depleting the rental market in San Francisco. Regardless, short-term rentals have changed, and will continue to change, the world of residential tenancy and the law governing this area is in flux. We are staying abreast of legal developments in San Francisco and throughout Northern California. We promise to continue to fight for the legal rights of Bay Area renters. If you believe you’ve been wrongfully evicted so that your former landlord can adopt a short-term rental model, please call. As a San Francisco tenants’ lawyer, Attorney Greg Brod can also help long-term renters whose homes have been rendered uninhabitable because a neighboring short-term rental is poorly managed (i.e. excessive noise, vermin such as bed bugs) and short-term renters whose rental companies did not provide property that lived up to promised standards. Call (800) 427-7020 to learn more about our Northern California landlord/tenant law firm.